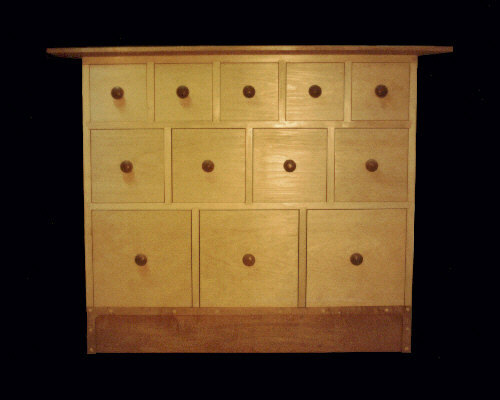 This piece is a twelve-drawer unit measuring 47 1/2" wide x 35 1/4" tall x 7" deep. The top is 9" deep. Casework is solid clear eastern pine with a light natural finish. Drawers are solid #1 clear eastern pine. Drawer bottoms are aromatic red cedar. 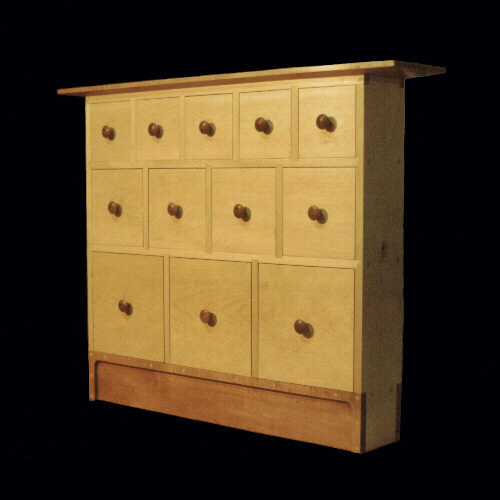 The top, drawer pulls and pegs are soft maple.